Matias won the international elite amateur division of the Chicago triathlon this weekend, in true GRC style running down the leaders. He swam sub 20 on 1500m (=very very fast), cycled 25.5 MPH for 40k and still ran 34.00 10k! Very impressive! He should be doing good in the pro races very soon! Since this year, I have decided to change from being a runner to an (aspiring) duathlete. I've picked up cycling, even though I'm not quite as fast as Matias, Ryan McGrath or LJ! So far, I've done my first 40k Time Trial in church creek last week: 1.01.49, 5th in cat 5 and middle of the pack on the whole day. The level of cycling is pretty good in the DC area, and some older guys handily beat me! Yesterday, I did my first bigger duathlon, a race in the Netherlands over 4M-18M-3M. I was leading the first run in 20.11, being chased by former world duathlon champ Armand van der Smissen! I felt it on the (non-drafting) bike leg though and I rode only 22.5MPH, came off the bike in 10th. The second run was ok with 16.40 (despite being misdirected costing 10-15sec), and getting back to 7th (45sec behind #4). My main lesson: never give up, no matter how many people pass on the bike!! Guys, i need to be back at the store at 11am to meet some folks for tri clinic and need to get going 8ish. I am looking for slow 2 hr run. can you all take one for the old man? i saw someone posted difficult run on sunday. I propose 8-830 as the time. i would like to run 2 hrs or so but need to be totally done by 11am. The plan is to take a week off from the track. Red Fox is wandering around the West for a week and Dirk is homeward bound, but Murphy and I are planning to meet at The Line on Wednesday at 6:30 for a tempo run. Any takers? Dickson and I are running the CCT-RCP Loop (21 miles) on Sunday morning at 8:30am. Starting at Barnes & Noble in Bethesda, then head down the CCT, cross over to the C&O Towpath, run past the Gtown Store, left on Rock Creek Parkway, back up to The Line and then take the Georgetown Branch Trail back to Barnes & Noble. SEE ROUGH MAP HERE - this can be adjusted/amended to go more/less. I'm running the usual 10 from the Store on Saturday at 9am. Local runner Julie Culley just missed qualifying for the final in the women's 5,000m at the World Outdoor Champs with a time of 15:32. A tremendous effort whilst running with the best women on the planet. I believe this is one of her fastest times ever. Congrats! Flavor flave and Chuck D rapping those powerful words. Nothing like Public Enemy to get the running juices flowing. Rather than run the Klim death run on Sunday. I met some tamer souls and did a 2 hr and 50 minute slow run on the tender loving rolling hills at Difficult run. Ran with ease. upon conclusion of the run zipped back to the Running Store and served the running community all day. Made approximately 75 trips up and down the fabled Gtown RunCo slate stairwell. Doing a workout like this is like running a marathon and then runing up and down stairs for the next 6 hrs. My legs are now on fire 24/7. We keep large buckets of ice in the back to soak and stay fresh. During the day of service at the store, you deal with bunions, plantar faciitis, defective asics, the new Reebok line, novice runners looking for affirmation, 20 year old elite college runners sneaking peaks at Let's Run, token appearances from local famous runners, educating people about the value of GU and Cliff Shots, hydration 101, talking to various tourists about the national mall and the wonders of DC and the same scenarios repeat themselves over and over and yes, there are the vaunted stairs. Those stairs have tamed many a runner. I am hitting up the store tomorrow for the usual 9-11 miles. Anyone else going? 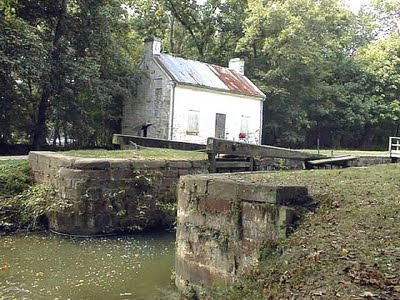 On Sunday, Dickson and I are going to meet at Old Angler's Inn at 8:30am and then drive north/west to Riley's Lock and run 3-4 x 2-mile on, 1-mile off back south to Old Anglers (some of us might keep going). We'll likely place Gatorade/water at the halfway mark. Let me know if you are interested so we know how many cars we need to drive up to Riley's. 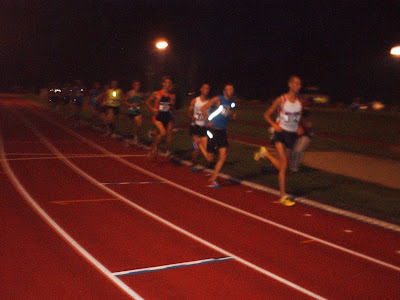 I was planning on trying to go under 1'54'' in the 800 but I changed my mind when I saw no competition in that race. I went in in the 3k and I run a weird 8'36'' (check out this splits: 3'03'', 2'52'', 2'41''(oh yeah), with a 57'' the last lap). I am pretty happy with it. As you can imagine by the splits, it wasnt a high level competition so I also won the race. I am meeting Mighty Chuck Moeser and some others at Difficult Run on Sunday at 8am for a 16 mile easy run. anyone can come so long as they run shirtless as is the custom with Moeser led runs. with that being said, its always fun to run. For those not hitting the Falmouth roads this weekend I am opening the store at 7am for some DCROADRUNNERS. I would like to do a GRC team run around 7:45am of 10 miles or so. This would be much easier on the store-end. Please try to make this early time. If not, I am afraid the store will be closed at 9 as I need to get back to accomodate DCROADRUNNERS upon their return from their training run. 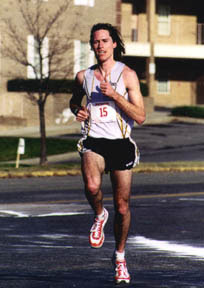 the last race i ran with any level of respectively was back in 2006 at the Leesburg 20k I think i did 109. I am not in very good race shape nowadays but my legs no longer hurt. I am considering jumping in this run. Dirk, Nate, Billy, Lindsey, Dangerous Dylan, Matias or anyone for that matter, are you game? Even if you are not ready to die for glory its a worthy event to participate in. FLASH: Ben Cooke Goes Running! BREAKING NEWS: Ben Cooke ran today with the GRC Race Team. It was reported to be the first time Cooke has run in months...possibly years. In lieu of running, Cooke has been listening and dancing to "The Wiggles". Today he ran with an even stride and appeared content. Could this possibly be the return of the former Duke? 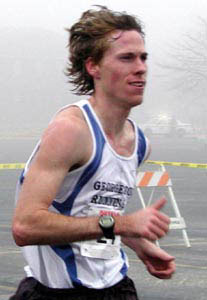 FLASHBACK: Ben Cooke is a James Madison University graduate with 4:01 mile, 13:53 5K and 29:40 10K times to his credit, despite recurring injuries that have hobbled his training program for months at a time.